As I’ve mentioned a few (well, maybe more than a few) times before, the beloved TV show Mad Men surprised and delighted poetry fans everywhere when it incorporated Frank O’Hara’s poetry into the show’s second season in 2008. 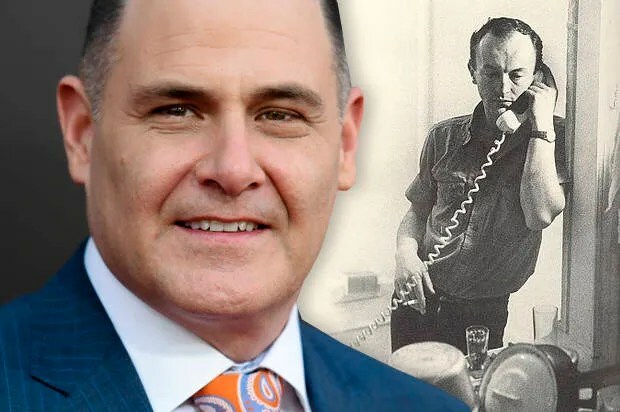 Over the past couple years, the show’s creator and showrunner Matthew Weiner has discussed several times how he came to discover O’Hara’s writing and why it seemed so well-suited for the story of Don Draper. “So when I got back to do the show for that season, which I believe is the beginning of Season Two, we had left Don in a kind of terrible place at the end of Season One where he was filled with regret, and Jon Hamm had talked to me about how this guy is probably going to get bored. So we had him go and get his physical and mix with people out in the street. I found out that “Lunch Poems” had not come out yet, so the rules of the show made it harder, but it still allowed me to get into Frank O’Hara, because “Meditations in an Emergency” had come out, which ended up being very fruitful and related to what I was doing and one of those coincidences that you can’t replicate. The show knows more than you do. It’s almost mysterious. I’m not kidding. Weiner goes on to discuss other poets he encountered in his poetry education, including T. S. Eliot, Dylan Thomas, and Sylvia Plath (who, he explains, “is all over Mad Men”). Even if he stumbles over which actress O’Hara famously begs to “get up” — rather than Lana Turner, Weiner refers to O’Hara’s well-known poem as “Greta Garbo has Collapsed” — it’s great to see his affection for O’Hara and exciting to learn that an audio version of Lunch Poems, read by Matthew Weiner, will soon be available. Read the whole interview here, and for previous posts on Mad Men and Frank O’Hara, see here, here, here, here, here, and here. This entry was posted in Frank O'Hara, Mad Men, Television, Uncategorized. Bookmark the permalink.